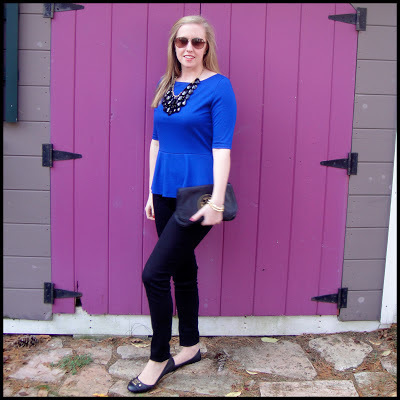 My black skinnies + this blue peplum shirt were a go-to for some weekend shopping with my mom. 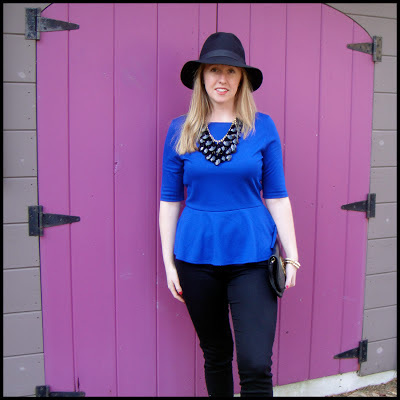 This peplum style is very popular right now, and can be very flattering for many body types. Find it on sale right now at L&T. Stay safe and stylish during the expected storm. Thanks for reading! 3 comments on "Black and Blue"
So pretty! I'm buying so much of that shade of blue!